i4 Solutions is an AIA Certified System Integrator specializing in machine vision. Founded in 2005, the company develops, installs and supports easy-to-use, high-performance inspection solutions tailored to each customer's exact needs. Their engineers' training and experience powers development of superior solutions. i4 Solutions is a Matrox Imaging Authorized Integrator and certified Sick Vision Integrator. 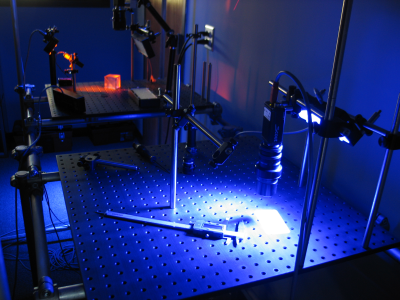 The company maintains direct relationships with Basler and Cognex, as well as leading lighting and optics manufacturers. i4 Solutions has the resources to keep your project on schedule. It has developed standard designs and code libraries that keep their engineers efficient. The company has partnered with other leading companies to gain production capacity, as well as to deliver technical depth in related technologies. Send us an email using the contact form below. We'll reply within one business day, if not sooner. Here's a map and information for visitors.